To me there’s something so comforting about the combination of saucy meat, white rice, and a runny-yolked, crispy-edged egg. The pickled carrots add brightness, tang, and crunch, while the scallions add a savory freshness. 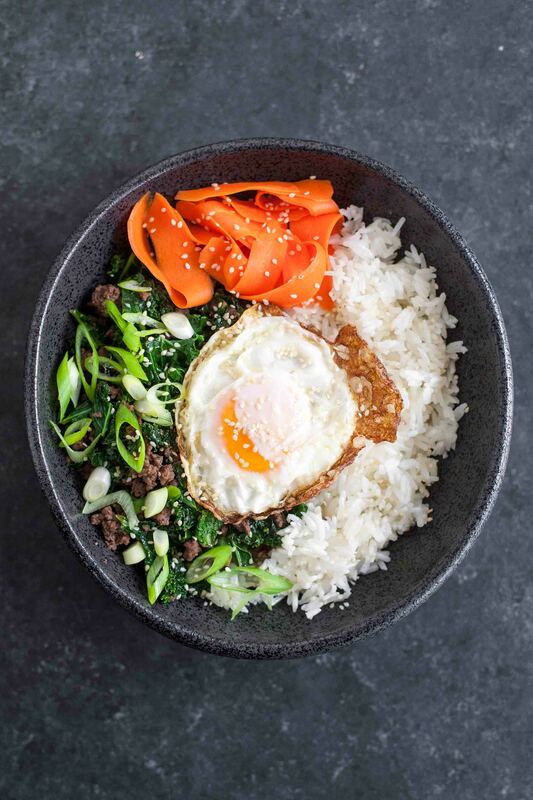 If you like bibimbap, I bet you’ll love this because it’s quite similar. Of course you can cook the egg to your liking, but if you haven’t tried a fried egg with lacy, crunchy edges, I highly recommend trying it at least once. I now never make fried eggs any other way! The contrast between the crispy whites and unctuous yolks is just perfect. The key to getting these eggs right is making sure you give the pan plenty of time to heat up and use a generous amount of oil. 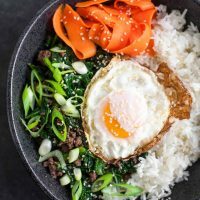 I hope you give these sesame kale and beef rice bowls a try this week! Here are a few tips for how you can customize this dish to fit your schedule and preferences. Make it paleo: Use coconut aminos instead of tamari and cauliflower rice instead of white rice. Make it vegetarian: Omit the beef and use a mix of finely chopped mushrooms and water chestnuts instead. Make it faster: Wash, destem, and tear the kale, make the pickled carrots, and mix the sauce ahead of time. Store these components separately in the fridge for a day or two. Alternatively, make everything but the fried eggs ahead of time and reheat in the oven or microwave. Looking for more delicious Asian meals? 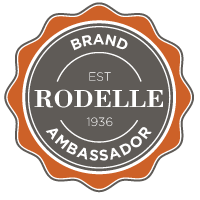 Try my Vietnamese beef lettuce wraps, Vietnamese caramelized pork meatball vermicelli bowls, thai basil noodles with beef, crispy chicken Thai salad, or cashew chicken with asparagus and shiitake mushrooms. To make the pickled carrots, mix the water, rice vinegar, honey, and salt in a small saucepan. Warm over medium heat until steam rises from the edge of the pan and the sugar is dissolved. Place the carrot ribbons in a heatproof bowl and pour the vinegar mixture over them. Toss to combine and let sit while you prepare the other components. 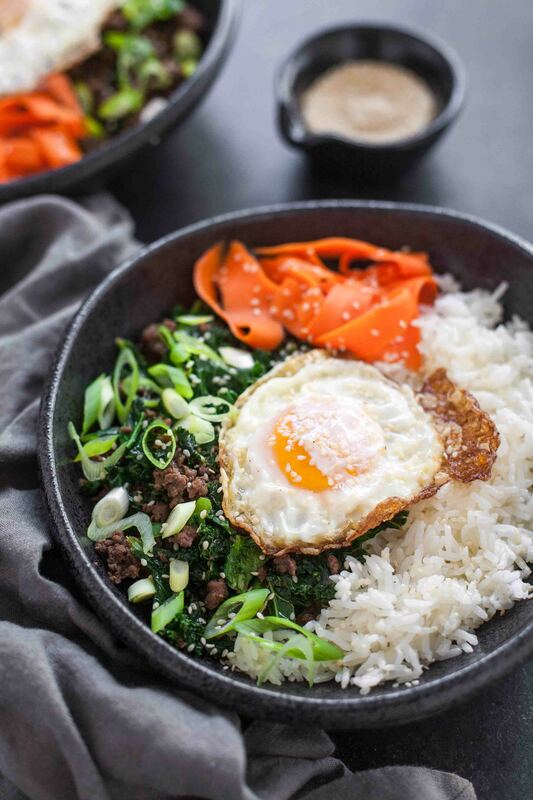 To make the sesame beef and kale, start by by mixing the tamari, honey, sugar, and tapioca flour in a small bowl to make the sauce. If you'd like, add sambal oelek to reach your desired level of heat. Next, toast the sesame seeds in a large dry pan over medium-low heat, stirring frequently, until golden brown. Transfer the seeds to a bowl and wipe out the pan. Add the avocado oil and set the heat to medium high. When the oil is hot, add the ground beef. Let it cook undisturbed until nicely browned on the bottom, then cook, stirring frequently and breaking up big pieces with a spatula, until no longer pink. Add half the sauce and stir. Add the kale a handful at a time, stirring until each handful has wilted before adding more. Continue to cook and stir for 2-3 minutes, until the kale is cooked to your liking. Taste and add additional sauce if desired, or reserve the rest for serving. Transfer the beef, kale, and sauce to a bowl and cover to keep warm. Wipe out the pan thoroughly so the eggs will not stick. Add enough avocado oil to come to a depth of ⅛ inch and wait at least a minute for the oil to get very hot. Carefully crack two eggs into the pan (the oil will splatter). Reduce the heat slightly and cook for about 3 minutes, or until the edges of the whites are lacy and brown. If desired, carefully tilt the pan and use a dessert spoon to spoon hot oil onto the top of any egg whites that are not yet cooked. Remove from the pan (a fish spatula is best) as soon as the eggs are cooked to your liking. Repeat if you are making four eggs, adding more oil if needed. 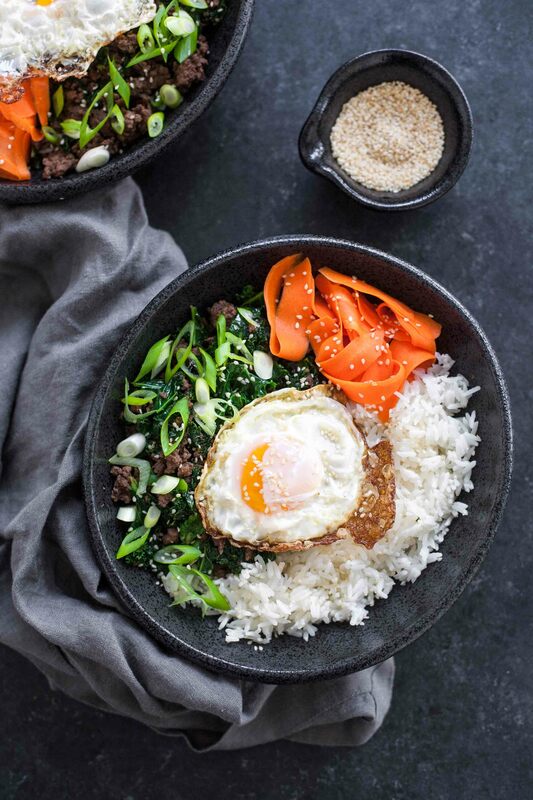 Serve the rice in bowls topped with the beef and kale, pickled carrots, fried eggs, toasted sesame seeds, and scallions. Enjoy hot. I love pickling red onion but I’ve never thought to pickle my own carrots. All these things look so good together! Thank you! I love pickled carrots. They’re a great combo of sweet and sour with a little crunch! 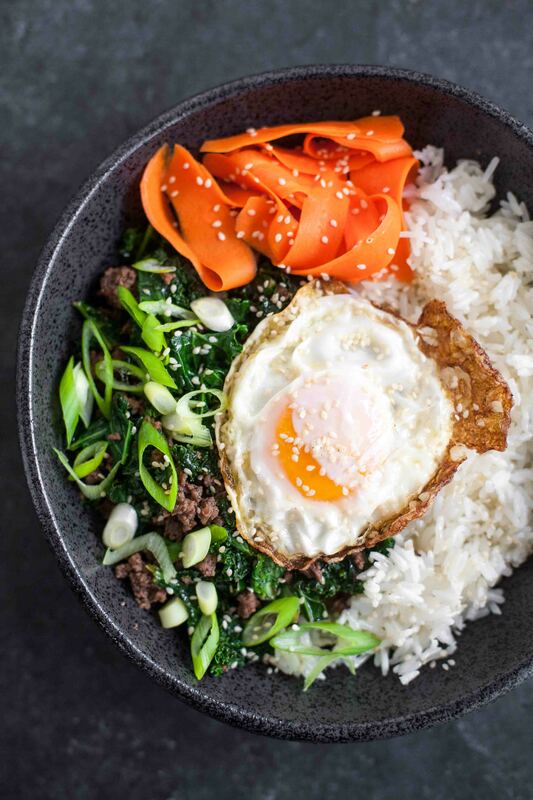 Love that fired egg in the bowl – yum!